On this page you can find all of the currently available certified nursing assistant classes in Hawaii listed by city. To get additional details about individual training programs click on one of the city links below. In each listing you’ll find the address and contact phone number for the school that you can use to receive additional information. Each city listing contains all the available classes being offered including public schools, private colleges, and health care training facilities. Always check that the program you are interested in is approved by for nurses aide certification instruction in Hawaii. 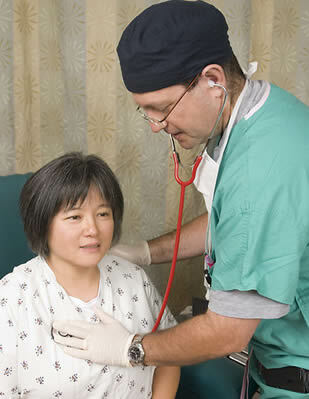 CNA classes in Hawaii provide the best opportunities in working as a nurse aide in that state. Training programs which are approved by the state will train students to the necessary skills and information which they need to know in order to work efficiently as nursing assistants. It is important that one should be trained in a school or facility which has been approved by the state in order to be able to take the state certification exams. Nursing assistants are involved with the day to day routine activities of patients in nursing facilities. They help and assist patients with their grooming, bathing, feeding, and mobilization of patients. As such, they help patients with their personal activities and also in the administration of their medications. They also take their patient’s vital signs such as temperature, heart and respiratory rate, as well as any changes in their physical conditions after the administration of a certain medication. nurse aides also help and work with other health personnel in the nursing facility depending on the directions of the supervising nurse or physician. The state of Hawaii requires at least 100 hours of training before one can take the state examinations. This includes 70 hours of clinical practice and 30 hours of classroom sessions. The practical training is required to be done under the supervision of a registered nurse and the training program itself should be one that has been approved by the state. Before you can be admitted to a program, you should however pass the physical test as well as the state and federal background checks. Those who have been found guilty for some types of felonies such as theft, illegal drugs, and crimes that involve violence are disqualified from taking the program. The state examinations are given by the American Red Cross Hawaii Chapter and they are also the one responsible for the setting of licensing standards and the approval of training centers. You have at least three chances of passing the exam within two years of finishing the program. Before signing up for a nursing assistant training program in the state of Hawaii it’s a good idea to make sure you know the state requirements. You’ll want to enroll in a school that is approved by the state and provided the adequate amount of instruction to qualify you to take the certification exam. Click this link to find out the CNA certification requirements in Hawaii. There are several facilities which offer certification training in their programs. There is the American Red Cross Hawaii State Chapter, which also administers the state examinations. They offer an online and a hands-on training course which takes about 130 hours to finish. The training would cost about $1,250 to $1,385 depending on which course you take. There is also the Kapiolani Community College which offers a 150-hour course; the TLC Total Loving Care Health Service; Oahu Care Facility; Castle Medical Center; Pacific Nurse’s Aide Training Center; Healthcare Training and Career Consultants Inc. that offers a 10-hour course; and the Caregiver Training School which has a 104-hour training course. The average annual salary of a certified nursing assistant in Hawaii is about $22,000. This can be higher or lower depending on your location, experience, and the type of employer that you have. The highest salary for a CNA in Hawaii is about $30,090 per annum. The hourly rate can range from $14.32 to $17 which can also vary with one’s location. If you know of any nursing assistant programs in the state of Hawaii that are not included on this website, or wish to correct inaccurate information please contact us.